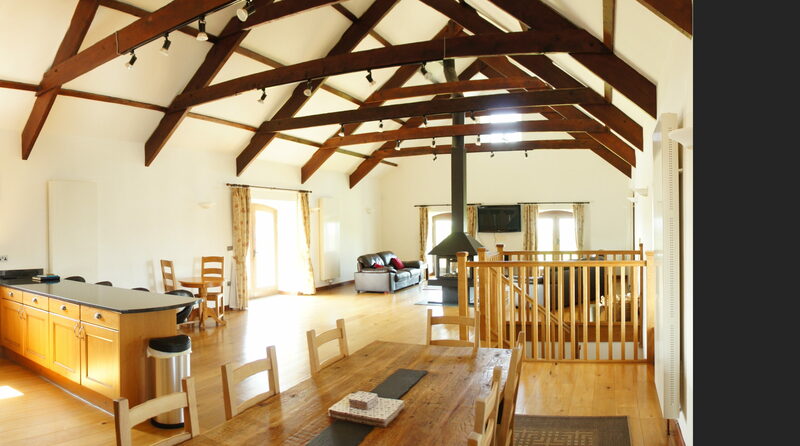 If you are looking for the WOW factor, Harvest Barn is the one for you! 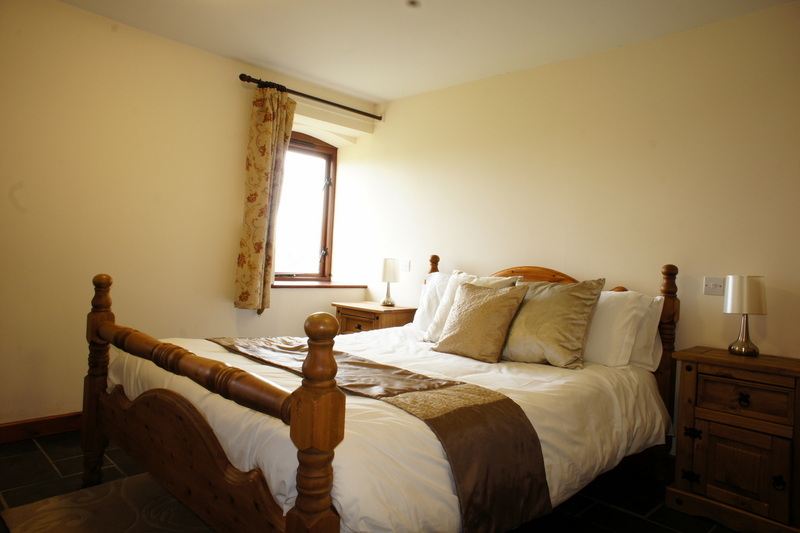 Sleeping 8 people in 4 luxury ensuite bedrooms, this property is the perfect place for family gatherings. 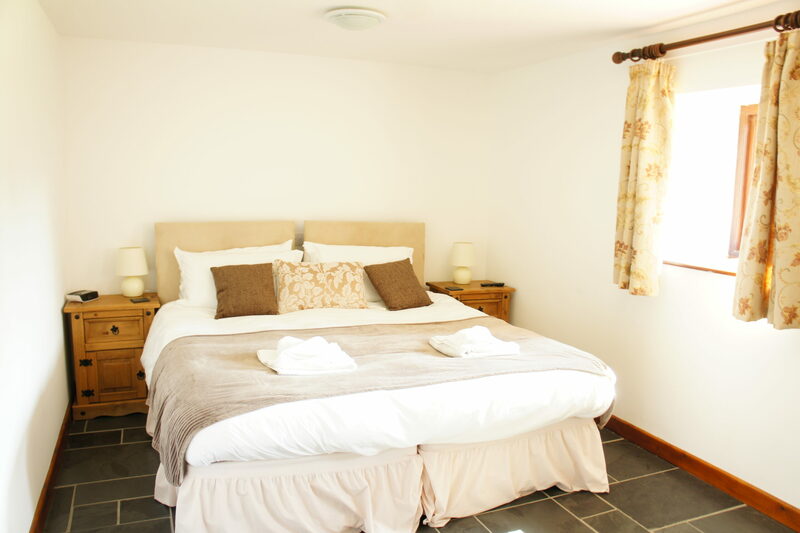 Recently awarded the rating of 5 Star Gold by the AA, this cottage is perfect for people who wish to bring their dogs on holiday, but without compromising on style, luxury and comfort. 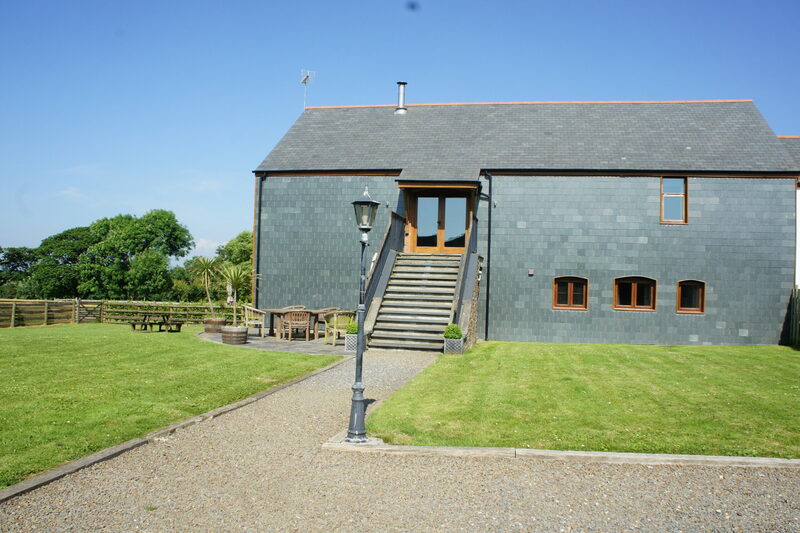 This a deluxe 18th Century barn conversion, beautifully restored to accentuate the unique features of the original building, whilst providing modern, spacious & luxury accommodation in picturesque surroundings. 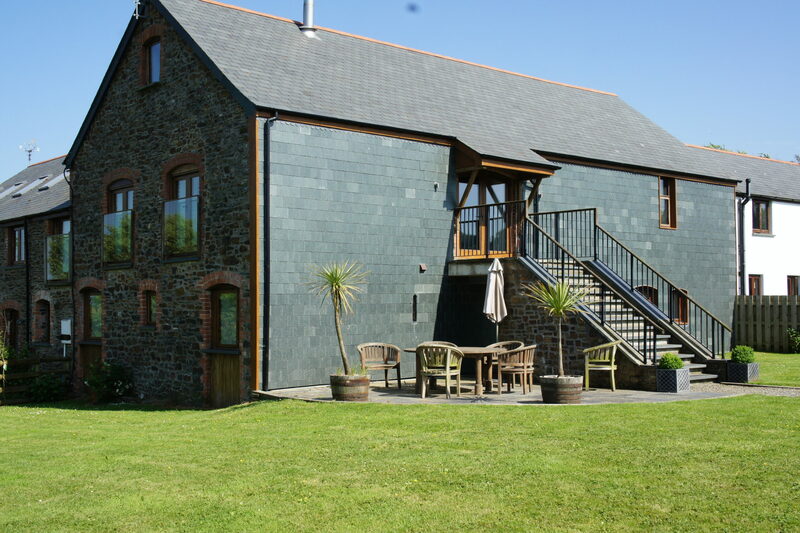 The fully-equipped designer kitchen, dining area, lounge and central fireplace of the barn are encompassed within a grand, open plan room with stunning vaulted ceilings, and two juliet balconies from which you can admire the fantastic views across the rolling countryside of the North Cornwall coastline, looking across to Bude Bay. 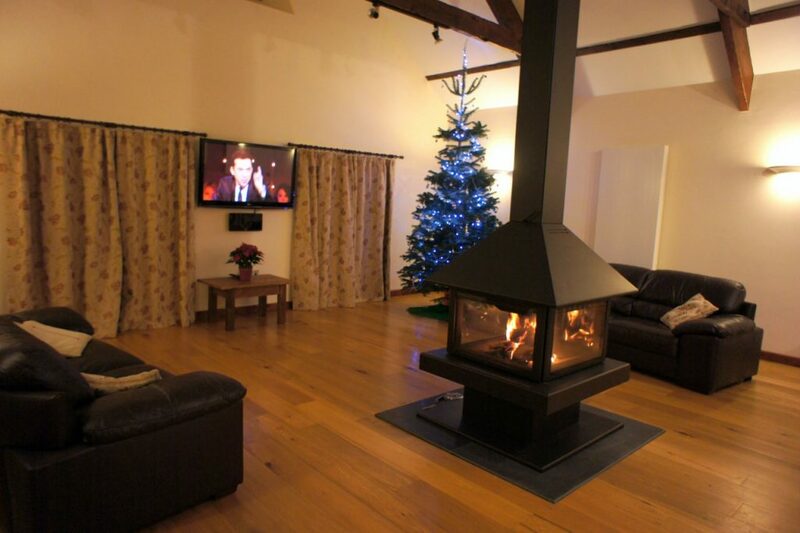 Harvest Barn is surrounded by a private enclosed garden and private parking facilities, ideal for children & pets! 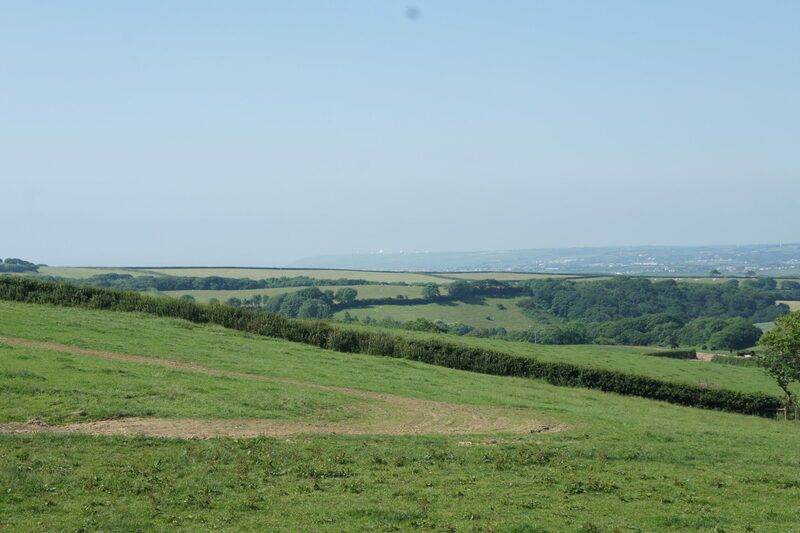 A sun terrace and BBQ area overlook the beautiful woodlands and farmland around Hele Barton. 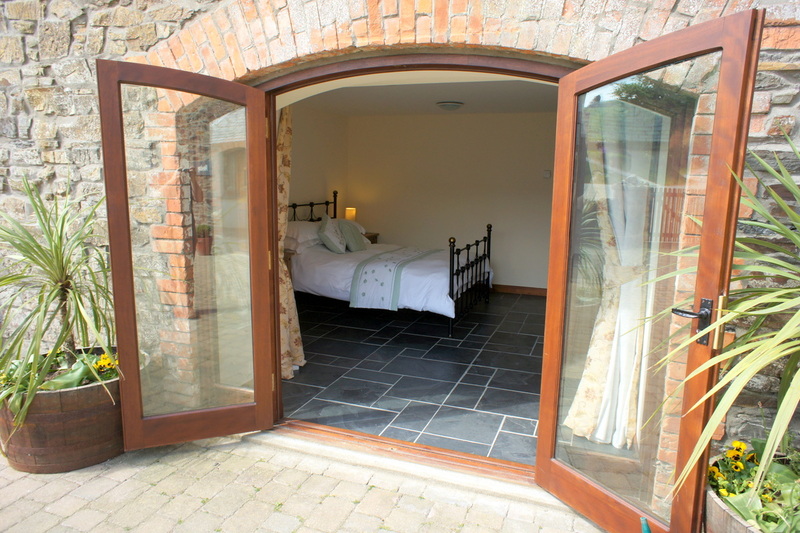 This luxury property has four bedrooms on the ground floor, all en-suite and fitted to the highest level of comfort, featuring flat-screen TVs and beautiful heated slate floors. 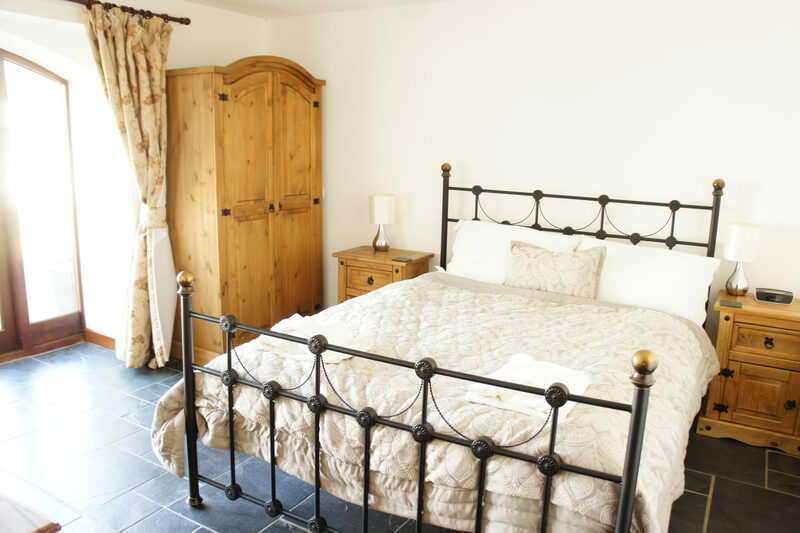 There is plenty of room in all the bedrooms for guests to bring their own travel cot and there is a folding single bed available if you wish to bring a 9th guest. 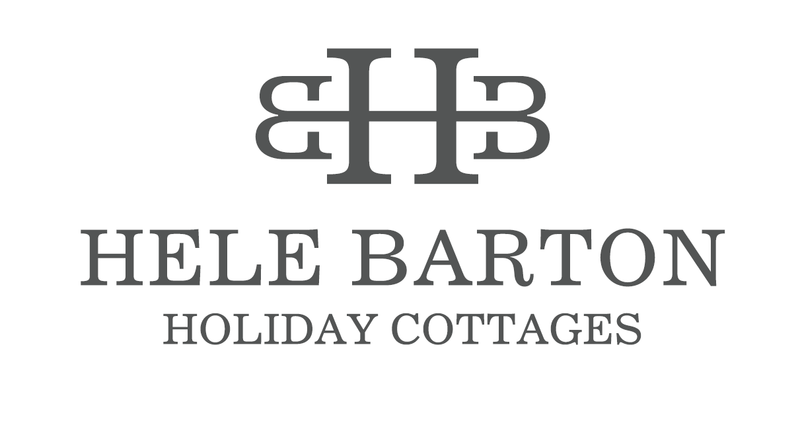 “We had travelled from Australia to spend quality time with our family, Harvest Barn was simply superb!! 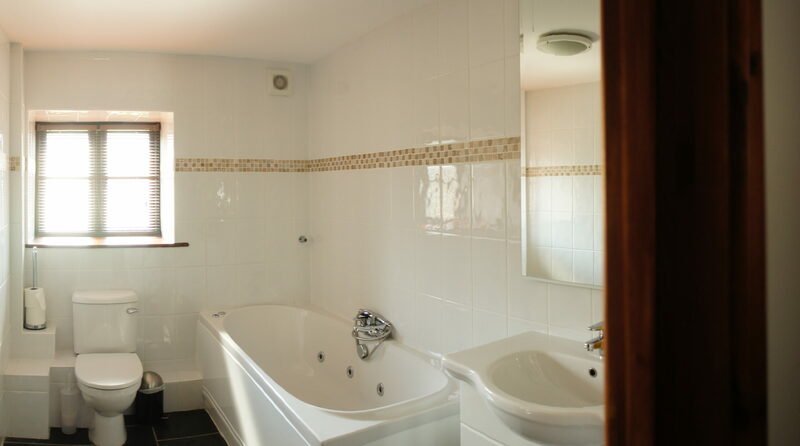 !, 4 double bedrooms, all ensuite, just perfect. 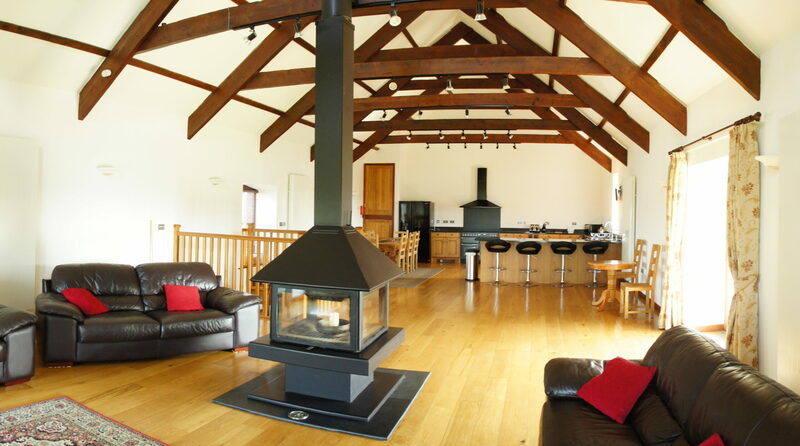 Harvest Barn was immaculately clean, beautifully furnished, with every amenity you could possibly want or need. 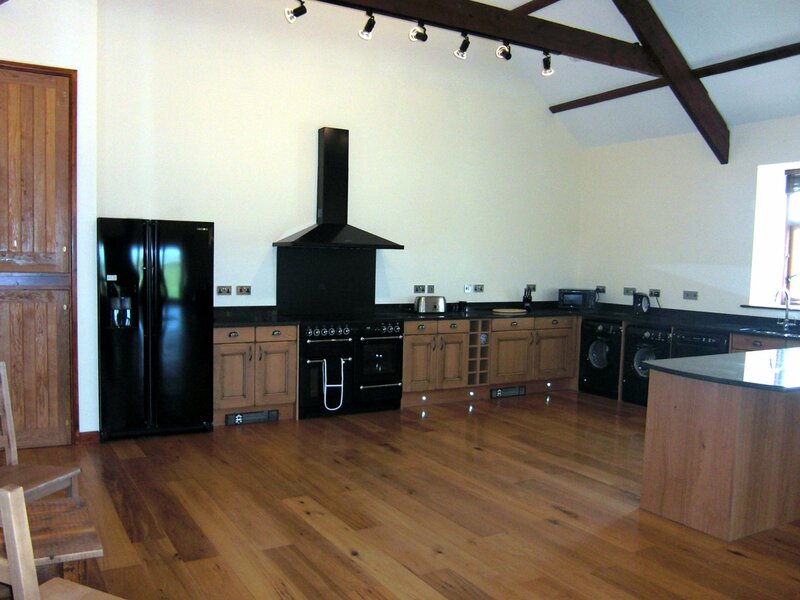 Fantastic kitchen and lounge space/family area. 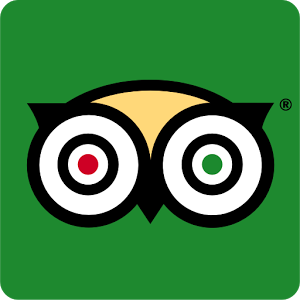 There were 8 adults in our group and at no time did we feel on top of one another.